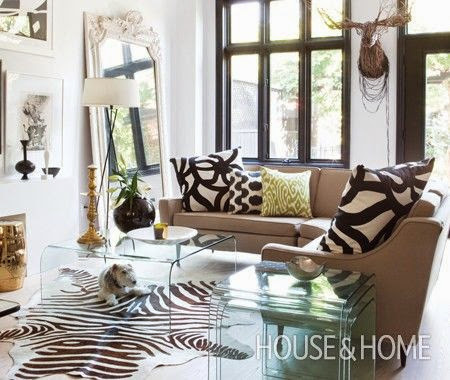 These animals have made its way indoors, inspiring eclectic safari home decor trends! And it makes perfect sense... 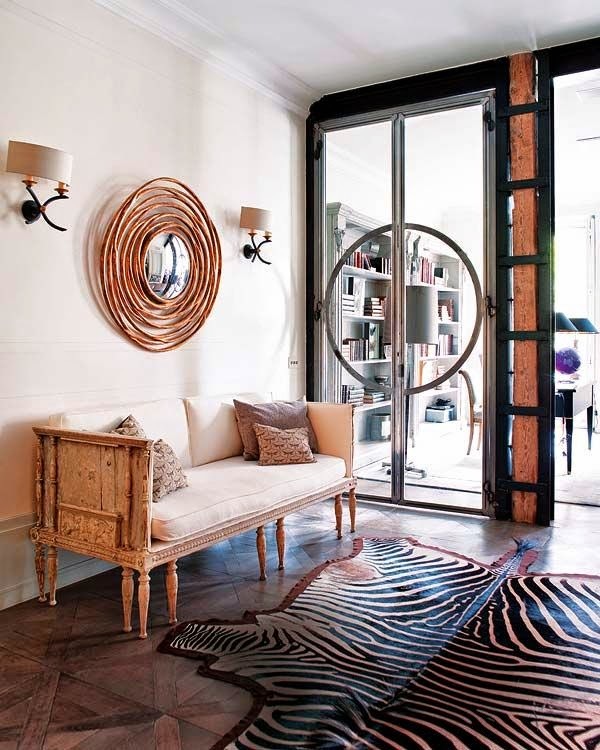 Animal hides are rich with pattern and texture, and yet, they can be considered a neutral. They also infuse a rustic and global element that invokes warmth and character. 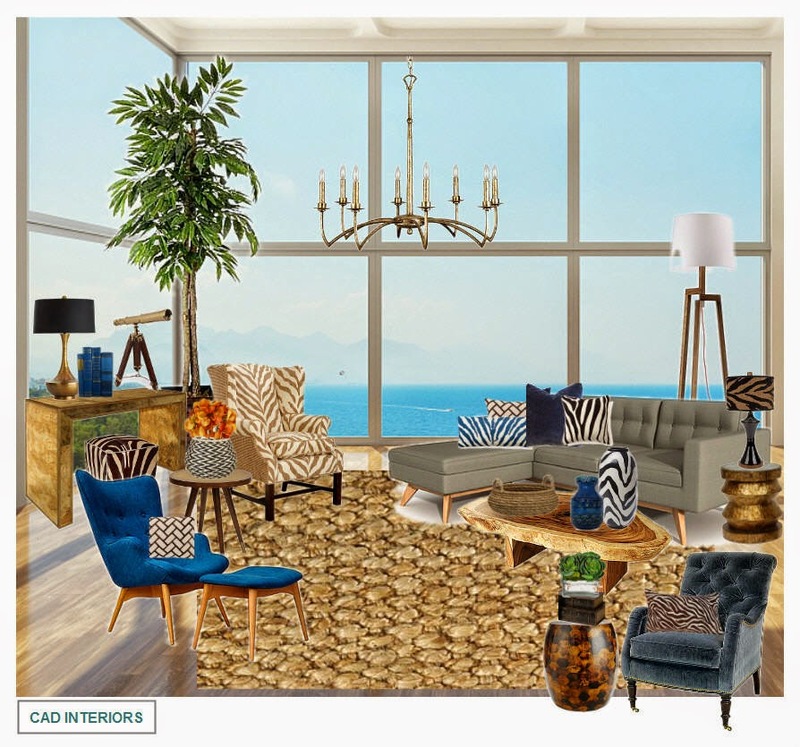 I love incorporating animal patterns in home design because they bring the quirky, eclectic, and unexpected into a space - which is right up my alley! Mix plain, natural, woven textures with animal prints. 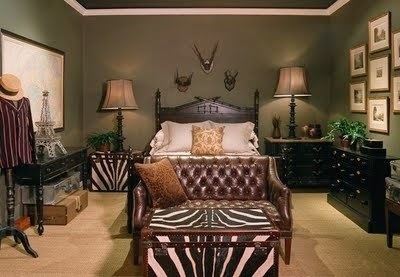 The entire room does not have to be filled with animal patterns. Balance is key when decorating with animal patterns! It doesn't take much to make a bold statement. 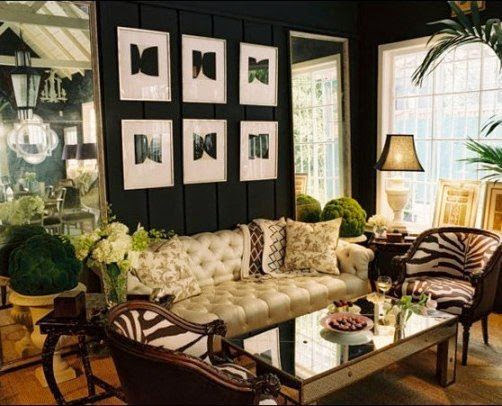 Animal prints can serve as a neutral. Try combining it with a solid accent color or two. 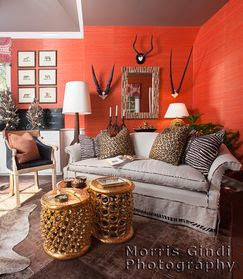 It's okay to mix animal patterns, but keep scale, balance, and proportion in mind.